I was given this from a close friend to read. 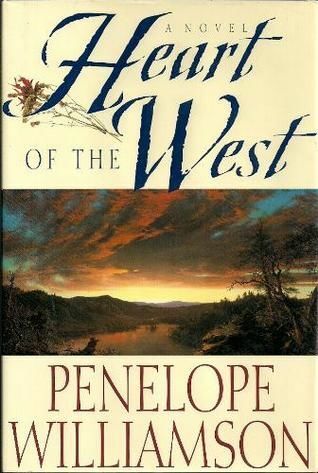 It reminded me of the books i used to read about the wild frontier, devouring the information liberally spread throughout the story that depicted what life was like way back when, following their struggle with life and love...and this book didn't disappoint! With 4.5 stars on amazon it is highly deserved. Rich with description, vivid in the emotions you feel along with the characters, the pages just fly by. And, *spoiler alert* i loved how the author didn't just kill of Clementine's husband so she could have the man she wanted! I really appreciated the depth of emotion Ms Williamson put her characters through to get to where they did, and me along with it. Read it, you won't be sorry! Clementine Kennicutt, a ladylike New Englander, aches to leave her home and her oppressive father. So when Gus McQueen, a cowboy with laughing eyes and big dreams, presses her to elope with him to his Montana ranch, she is ready. But nothing has prepared her for the harsh realities of frontier life, or for the unpredictable hankering of her heart--and least of all for the fact that almost from the first moment she sets eyes on Zach, Gus's dashing, ne'er do-well brother, she knows he's the one she was destined to love. Brought up to be a lady, Clementine determines not to let the frontier--or her marriage--defeat her. She devours life, befriending the town prostitute, defending Indians, and suppressing her heart's desire, until Zach forces her to face him and make her choice. What have you been reading that has evoked strong emotions in you? How's things *grin* must do a catch up on skype soon!! not quite the same when i was doing my own ones. I find they are awesome when you have to do something, but don't have time for anything major.